The IOT Group Limited (ASX:IOT) has today updated the market on recent sales figures and its business plan moving forward. 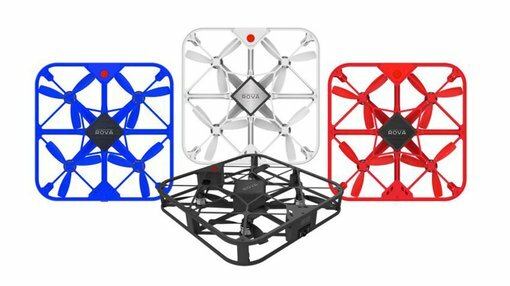 The company has indicated that in the past two weeks, it has received purchase orders and shipped a total of 3,420 ROVA and AirSelfie products to retailers and distributors in the US, Europe, Latin America and Australia. Additional purchase re-orders are also being processed for major retailers in the US in the lead up to Christmas. IOT is now developing a comprehensive sales plan with US sales accelerator Spring/Cities, with the aim of capitalising on major calendar sales events in 2018. It also aims to utilise markets in Latin America, Europe, United Kingdom and Australasia to deliver further sales of its product suite. “The IOT Group has now turned the corner and we are really starting to see the results of the growing distribution channels in North America, Latin America, Australasia, Europe and specifically the United Kingdom,” Executive Director of IOT Group, Sean Neylon said. In an effort to minimise shareholder dilution, the emerging tech player has secured a A$500k invoice factoring facility. This new capability will provide the business with a significant increase in purchasing power and reduce its reliance on future capital raises. The company has also negotiated Payment Terms with Latin America distributors to advance cash in advance of shipping, with the agreement to bolster IOT’s cash flow in Q4 moving into 2018. It should be noted here that IOT remains a speculative investment and interested investors should seek professional financial advice if considering this stock for their portfolio. Amazon and Best Buy have confirmed they will be ranging AirSelfie and ROVA for the Christmas period, with Payment Terms for both groups to take place 30 days from delivery. IOT also indicated that its previously planned December Capital Raise, in regards to its acquisition of AirSelfie Holdings, has now been cancelled. Both companies are working through due-diligence, with contracts for the transaction now being finalised.